Freelandville Community Home has over 50 years of experience. We provide a home-like atmosphere to allow our residents to feel at peace and comfortable in their surroundings. 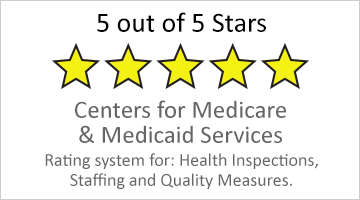 Our 5-star rating shows our commitment to the quality of care you will find at FCH. 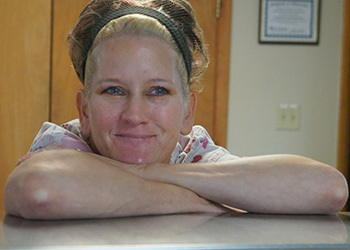 We offer many services to provide the utmost care for our residents including intermediate care, respite stay, rehab, in-house therapy, outpatient therapy, vision care, pharmacy services, podiatry, audiology, and many more. At Freelandville Community Home our attention to detail comes out in our excellent meals that are touted as “fabulous” by our residents. Often the transition to a skilled nursing facility is challenging. At Freelandville Community Home, we strive to ease the process by providing an environment where patients and guests feel informed and comfortable. Nursing staff is available 24/7 to answer questions and provide care. Our team of qualified professionals helps patients recover from surgery, injury or serious illness. They understand the importance of creating a comfortable and nurturing atmosphere, whether patients stay for short-term treatment or long-term care. Visitors are welcome every day of the week. Come to see our residents and friendly staff in action. Feel free to contact us to learn more about the unique, sophisticated healthcare environment at Freelandville Community Home. 50 Medicare and Medicaid certified beds.